Getting cheated on is one of the worst feelings in the world, and it is never appropriate. If you are in a committed relationship, you owe your partner the common courtesy of ending that relationship before you get involved with another person. Even if the relationship is bad, you need to end it before starting another one. 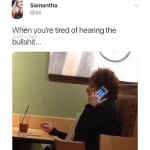 It is hard to feel bad for cheaters, especially if you have been cheated on, so you might enjoy these 10 images related to cheaters who did not get away with their devious and sneaky behavior. There is just so much wrong in this exchange. John was apparently cheating on his partner of two years with another person, which is bad enough. 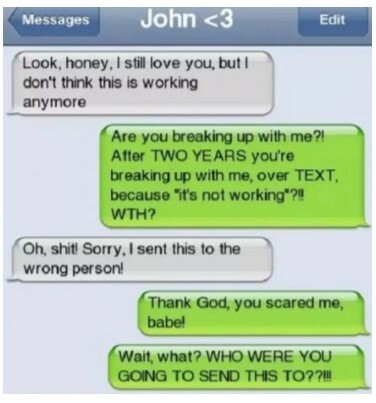 He then decided to break up with that other person via text, but he sent that text to his partner. John really needs to take a good, hard look at his life and his behavior. The recipient of this text message has every right in the world to be super upset. Nikki’s husband, with whom she shares children, cheated on her; cheating is bad enough, but it is even worse when the relationship involves being parents. It is pretty funny that she emptied out the bank account. There’s a grammar error or two in this message, but she got her point across pretty darn well. 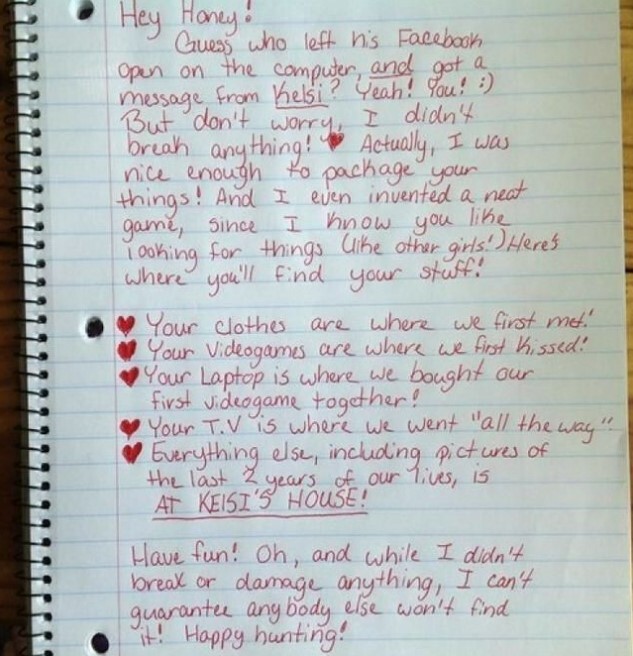 The fact that the girlfriend in this situation did not break all of her ex-boyfriend’s stuff is proof of her class. A lot of women would have just destroyed it all. How awful it must be to be cheated on by someone you spent years of your life with. The way she ends it—“happy hunting”—is hilarious. I imagine she quickly found a better guy who treats her with proper respect. What kind of guy cheats on a girl who buys video games with him? What an awful and ridiculous thing to do. 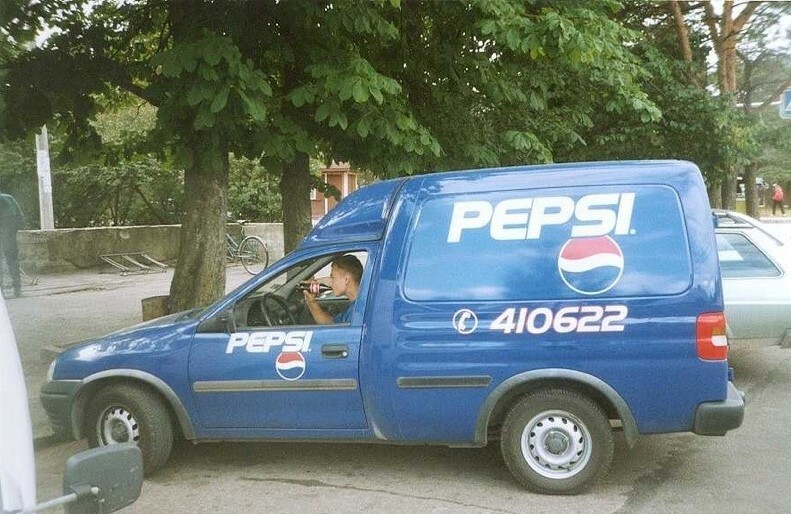 This employee, who apparently works for Pepsi, seems to be drinking a “Coke”. People tend to take brand loyalty to a bit of an extreme, true, but drinking a “Coke” when you work for Pepsi seems like a bad idea. Hopefully the guy’s boss hasn’t seen this image. Cola brands demand total loyalty from the people who work for them. The cheater in this case thought he was being accused of cheating romantically. It turns out his partner only wanted to accuse him of cheating on a test. 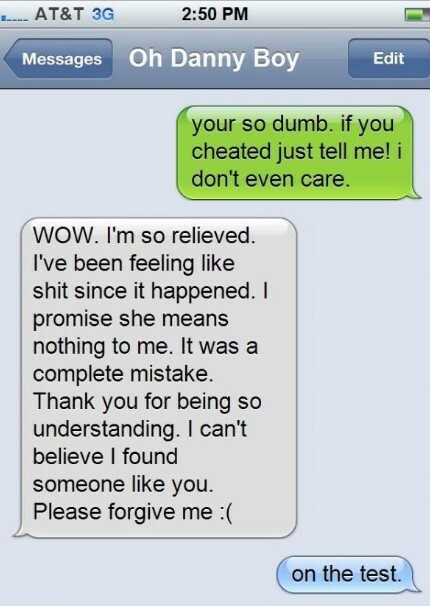 The cheater does seem genuinely apologetic, however, so that’s a good thing. Still, it is unlikely that the relationship survived this awkward little exchange. If you are going to be sneaky and cheat on your significant other, you really have to be careful with your text messages. You need to make sure they are going to the right person. In this case, a guy made up a family excuse in order to get out of spending time with his significant other. He was lying about the family stuff, however. 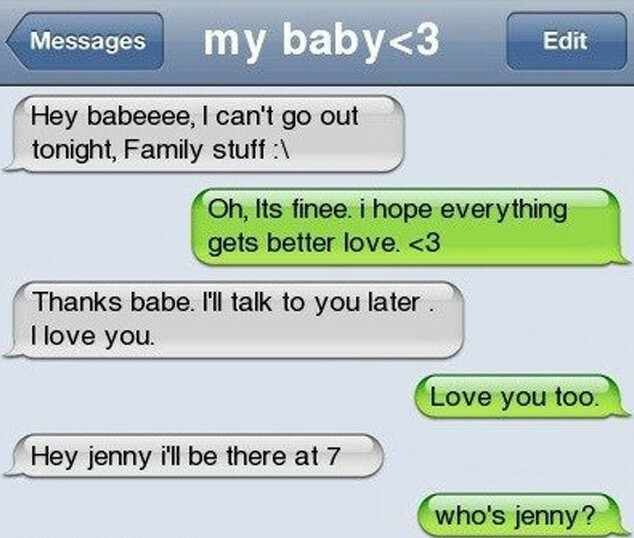 He actually had plans with a person named Jenny, and his significant other found out. She probably wasn’t too pleased, and the relationship is probably over. First of all, that shirt is hilarious. 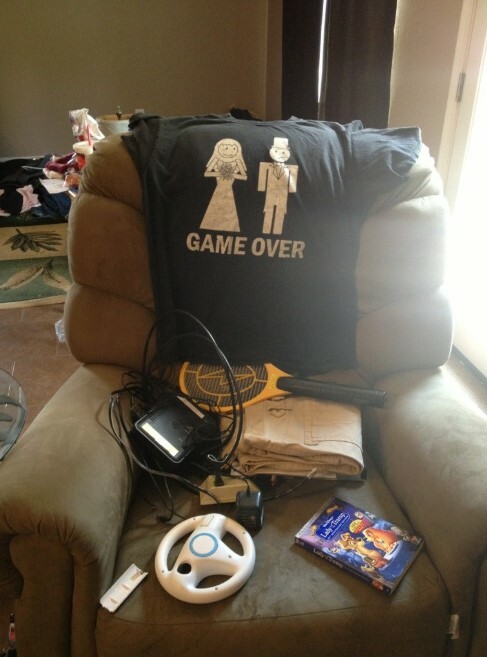 The cheater apparently wore it to his bachelor party, which is even more hilarious. It is not hilarious, however, that the guy cheated on his wife. He also apparently met the woman with whom he cheated on social media, which is surprising. You hear stories about such things happening, but they also seem quite hard to believe. Cheating on a significant other is not cool and not acceptable. However, as they say, variety is the spice of life. Buying pizza from more than one establishment is perfectly acceptable. Sometimes you are in the mood for a particular topping that one pizza shop just does not have available. 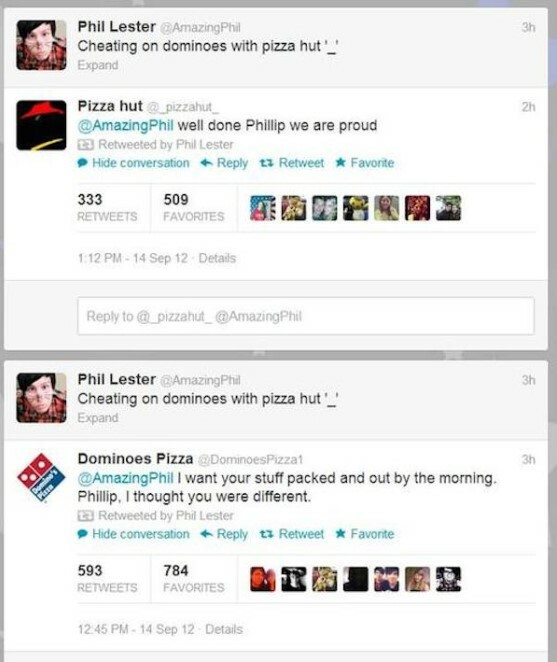 In this instance, it is pretty funny that Pizza Hut actually congratulated Phil for the cheating. The response from Dominoes is absolutely hilarious. There are few things in life that are worse than being accused of a thing that you did not do, and sometimes it is hard to prove your innocence. In this unfortunate case, a person looks guilty because of autocorrect. 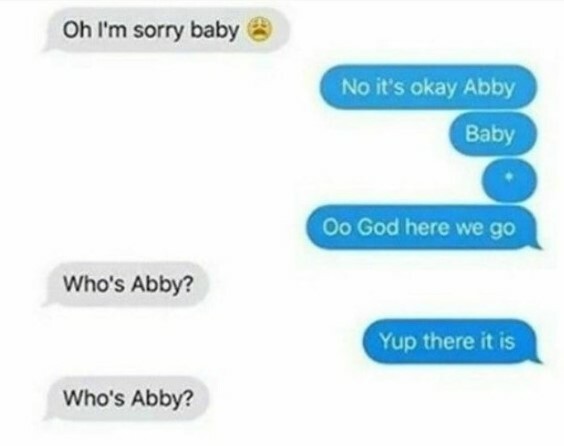 “Baby” became “Abby”, and the recipient overreacted. Hopefully everything got worked out. Emily was cheated on, and she is not happy about it. Most people would confront the cheater over dinner or drinks, but she took the confrontation to a bit of an extreme. 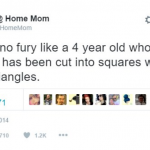 I think it is fair to say, however, that she got her ex-husband’s attention—and the attention of the entire city. 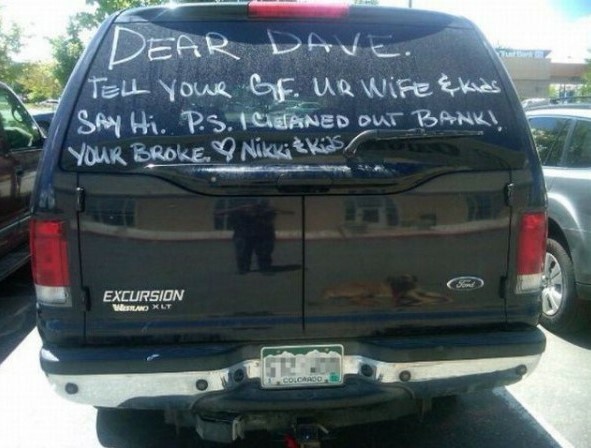 It is definitely very amusing that she called him poorly endowed and used the couple’s joint bank account to pay for the billboard. Something tells me her ex—the slimeball—will have a hard time getting dates for a while. 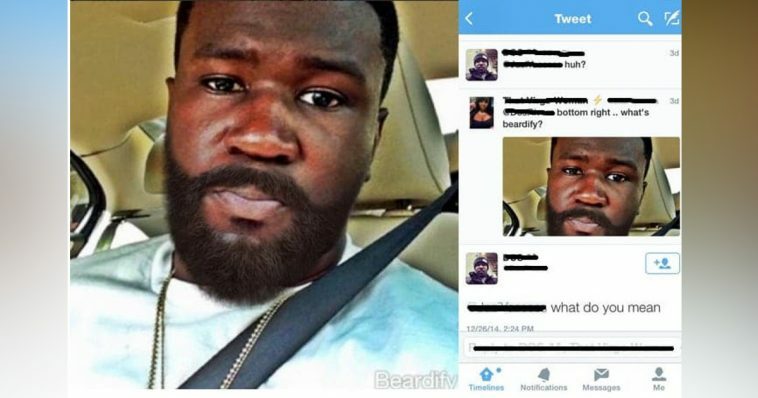 Well, we have all seen all kind of image manipulations, but this one looks “professional”. I mean that this was a nice try. She almost got us on that one! 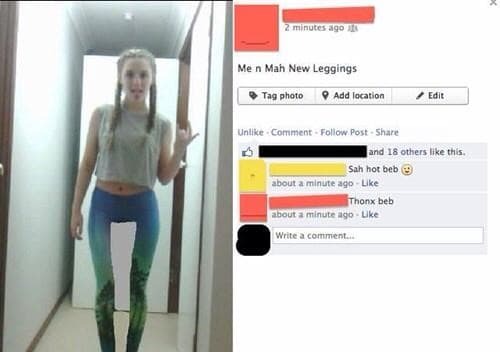 I believe she didn’t really use Photoshop. It looks more like Microsoft Pain to me.